NSFA, Panacan, Davao City - Encounters erupted between the troops of 3rd Infantry Battalion (3IB) under Ltc. 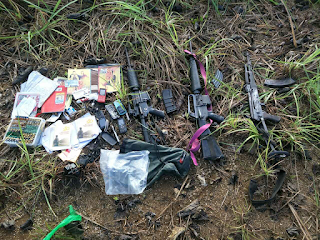 Oscar Partuza and an undetermined number of CPP-NPA Terrorist Group (CNTG) in the hinterland of Sitio Ngaran, Barangay Kipilas, Kitaotao, Bukidnon in the morning of April 7, 2019. In a report rendered by Col. Nolasco Mempin, Commander of 1003rd Infantry Brigade to Lt. Gen. Felimon T. Santos Jr., Commander of Eastern Mindanao Command, the first encounter transpired at about 9:50 AM after a Community Support Team was fired upon by the CNTG while on the process of validating information on the presence of armed group in the area. The CNTG withdrew to a northeasterly direction after a brief encounter. 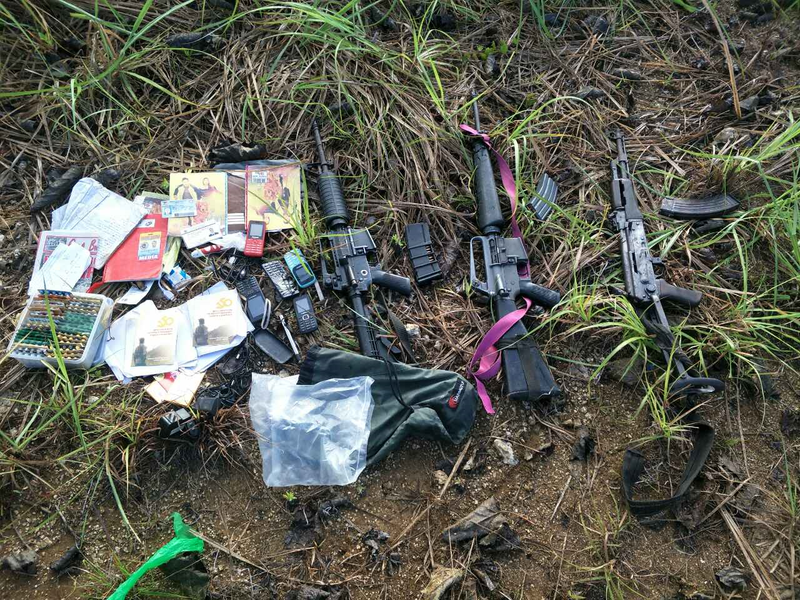 Col. Mempin further stated that pursuing troops of Alpha Company of 3IB engaged the withdrawing troops at about 10:15 AM and lasted for two hours after which the CNTG scampered to different direction leaving one of their dead fellow, one AK47 rifle; one M653 rifle; one M16 rifle; 3 cal 45 pistols; one improvised explosive; one combat pack; personal belongings and subversive documents. Continuous pursuit operations are being conducted by the troops of 3rd IB to prevent the CNTG from conducting atrocities against the neighboring communities. Meanwhile, Lt.Gen. Santos again reiterated his appreciation to the cooperation of the communities and for the CNTG to heed the communities message. "Enough for your terrorism, heed the call of the communities, lay down your arms and avail of the integration program of the government and allow the government to resolve the issues of the communities and end this Filipino vs. Filipino armed conflict". Lt. Gen. Santos said.